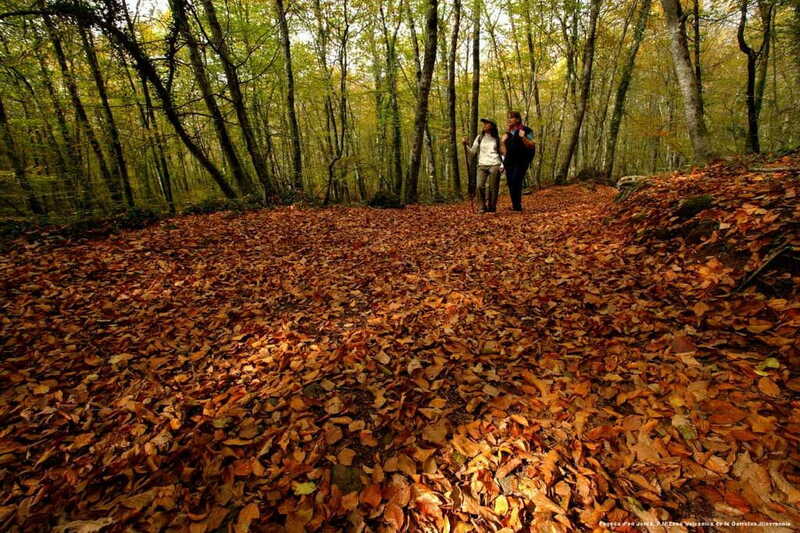 The famous Jordà Beech is an exceptional beech forest that grows on a flat, lowland (550 m). In fact, it sits on a lava flow that issued the volcano Croscat, which offers rugged, with abundant prominences very characteristics, which can reach more than 20 meters high and are called local tossols. It is a mixed volcano, which had Strombolian eruptive phases and phreatomagmatic. The latter are explosive, and they came to the Santa Margarita opened, burst into a wide circular crater, within which there is the church that gives its name to the volcano. Unless the crater, which is now a meadow, the rest of the volcano is covered by forest, mixed deciduous oaks in sunny and in the shade. The Croscat is a Strombolian volcano cone and is the largest in the Iberian peninsula, 160 m. It is also apparently the youngest of all. 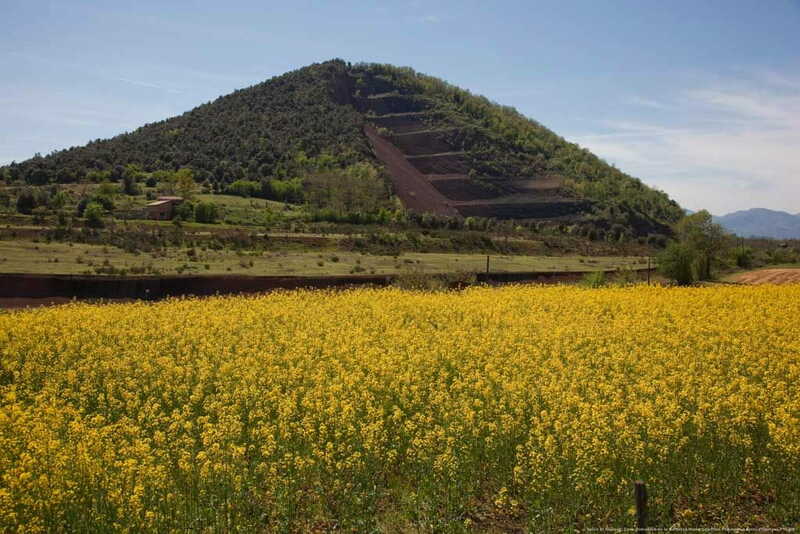 For years suffered withdrawals of volcanic materials flank, who have made a stunning court (clay pits), which can be visited along the route 15. Currently the area has been adapted as a museum. After skirting the former landfill, now sealed, the north flank of the volcano, the road descends gently to the parking Can Serra. 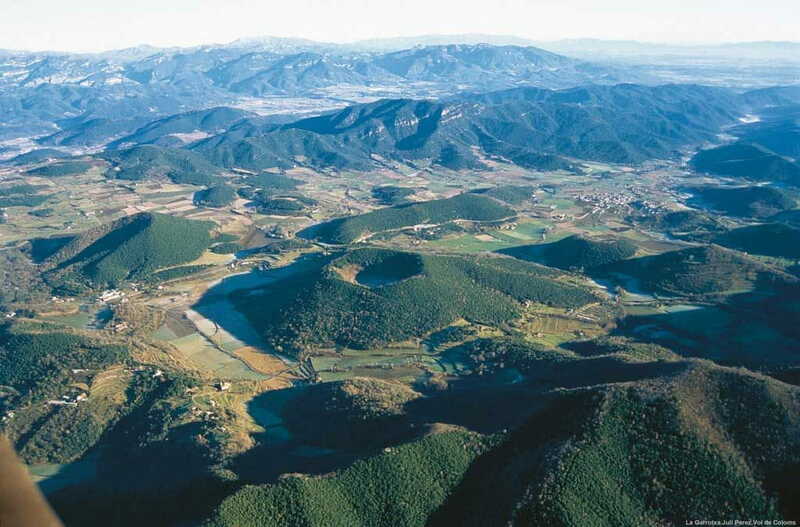 Accommodation: Holiday cottages in Garrotxa.